Zinger Winger Receiver Lok. $20.99. "Zingers Receiver Lok is the only way to go." If you're tired of your receivers falling off of the wingers due to the shock of firing, Zingers Receiver Lok is the only way to go. "Absolutely the best way to attach receivers on Zinger Winger or Gunners Up wingers." Absolutely the best way to attach receivers on Zinger Winger or Gunners Up wingers. If you're careful removing receivers, they last a long time. Absolutely fantastic. I couldn't be more pleased with the product. The plastic locks are good, but I like the old thin metal brackets better. I couldn't find them anywhere. These are really OK. So far it holds great and is as advertised. This is a universal "receiver anchoring system" which will eliminate the aggravation of securing your remote receiver to its launcher. Installed on all new Zinger Winger launchers. Forget Velcro straps, lost bolt snaps. When you need to remove the receiver it simply pulls away without tools or mechanical fasteners. Installs easily to any launcher and remote receivers. This is not the Velcro type fastener sold in stores. 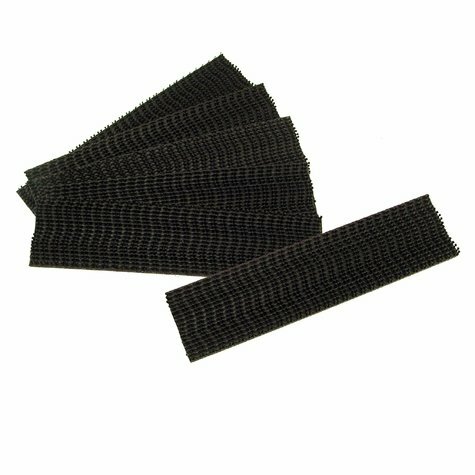 Pack of six interchangeable strips. Enough to mount 3 receivers.